-Fragrances – According to Dr. Cates, fragrance mixtures may contain hundreds of individual chemicals that may trigger allergies and disrupt certain hormones. He suggests avoiding fragrances unless in their natural form such as pure essential oils. -Formaldehyde – Nearly one in five personal care products contain this chemical. This toxic chemical can be found in hair care products, adhesives and nail products. According to the Occupational Safety and Health Administration (OSHA), formaldehyde is a carcinogenic chemical associated with the onset of various forms of cancer. -Ethanolamines – According to the skin care expert, impurities in these chemicals may trigger the onset of certain types of cancer. -Mineral oils – These oils, along with petroleum, are key ingredients in cosmetic products such as foundation, moisturizers and cleansers. However, these chemicals contain dioxane. According to Dr. Cates, dioxane is found to be carcinogenic in various animal studies. -Oxybenzone – This harmful chemical is commonly found in lip balms, sunscreens, and other products that contain SPF. Oxybenzone is found to be easily absorbed in the bloodstream, and is associated with the onset of early puberty in girls. -Parabens – Parabens are commonly used preservatives in various beauty products. The chemical is linked to breast cancer cell growth in women and lower testosterone levels and sperm count in men. -Hydroquinone – According to the U.S. Food and Drug Administration (FDA), hydroquinones may cause ochronosis, a skin disease characterized by disfiguring and irreversible lesions on the skin. Hydroquinones are also found to be carcinogenic. -Coal tar – Coal tar is a known carcinogenic. The chemical can be found in dandruff shampoos, creams, soap, and ointments. -Toluene – According to Dr. Cates, toluene is a potent neurotoxic chemical and may trigger impaired breathing and nausea. Toluene is commonly found in nail care products. -Butylated hydroxyanisole – BHA is a waxy compound that is used in various cosmetics and personal care products such as eye shadow and lipstick. The U.S. National Toxicology Program has identified BHA as a potential carcinogen, while the European Union (EU) classified the chemical as an endocrine disruptor. -Triclosan and triclocarban – These chemicals are commonly used as antibacterial agents in personal care products. Both chemicals are known endocrine disruptors. -Mica, silica, talc, and nanoparticled titanium dioxide – According to Dr. Cates, these minute particles may lead to lung disease when they accumulated in the body over time. – Heavy metals — such as mercury, lead, arsenic and aluminum — can cause brain and nervous system impairment and hormone disruption. These heavy metals are also known carcinogens. -Carbon black – Carbon black is a commonly used pigment in make up and nail polish. This chemical is known to cause cancers. -P-phenylenediamine – This chemical is commonly found in hair dyes. Exposure to this chemical may lead to organ toxicity, adverse skin reactions, and cancer. Other toxic chemicals commonly found in personal care products include resorcinol, methylisothiazolinone and teflon as well as phenoxyethanol and acrylamide. 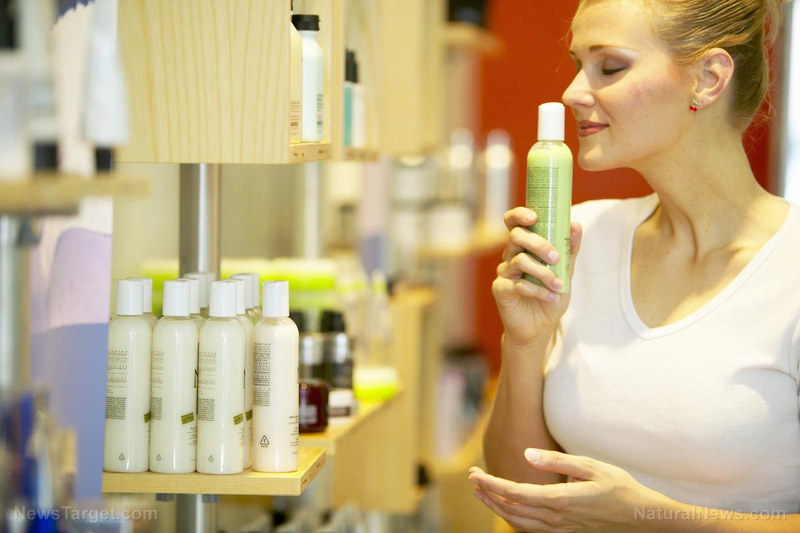 “The personal care products industry is inundated with extremely toxic, cancer-causing chemicals,” explains the Health Ranger, founder of the Health Ranger Store which formulates and retails hundreds of non-toxic personal care products. “The average consumer poisons themselves with over 300 synthetic chemicals before they even leave the house each morning, and these chemicals are deliberately added to personal care products by manufacturers that care more about profit than consumer safety,” he adds. Personal care products — such as cosmetics, body washes and hair and skin care products — have been subject to scrutiny for years due to potentially hazardous chemicals that most of them contain. These chemicals, when in contact with human body, may cause adverse health effects. In fact, a study by Herb Research Foundation reveals that the skin may absorb up to 60 percent of toxic chemicals found in personal care products. Previous PostPrevious Certified Organic Skin Care: No Seal No Deal?